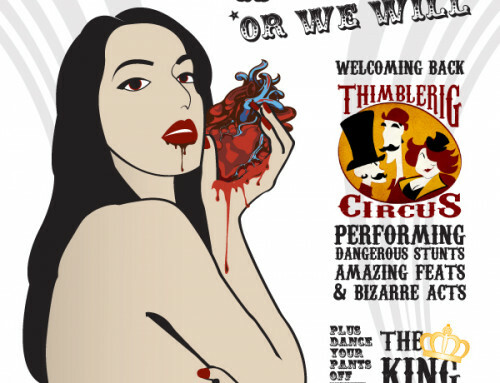 Join Effie’s Club Follies burlesque troupe for a wild and wacky (and potentially naughty) trip through storybook land! 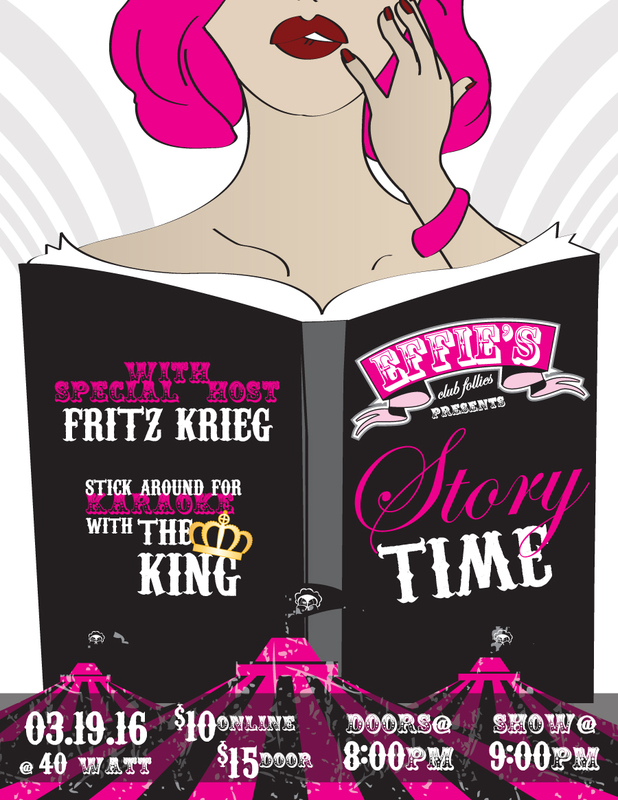 From Fairytales to popular novels to Greek mythology – all reinterpreted in classic Effie’s fashion and hosted by beloved Atlanta burlesque emcee Fritz Krieg! Effie’s is made up of Athens-based performers who bring together a combination of the weirder side of SNL’s glory days, a dash of good drag, a sprinkle of raunchy humor (think Mae West… or even Sarah Silverman), and a pinch of Broadway – all with the striptease as the luscious cherry on top! Don’t forget to stick around for karaoke with THE KING!